Every fear and hope has come and passed through my being. I have been in a place of total discomfort that I can barely bear it. I have heard from the angels and I have felt their love and expectations. His love for us and his concern. All in the universe, help us to see how we are all one and how love is all that we need to be in this life. Who is this you may ask? Because we have remembered……who we are…. How could this be so that we saw our reality in the way we did for so long..? And the light has gotten a little bit brighter …. And we are feel a bit more awake. The cheers of the Universe are felt, deep with our heart. That we truly, go on and on. Did you ever think of the different ways we use the word heart? The ways that we use the word HEART, in positive and also in ways that can be negative. Well I thought about doing just that today, and so I sat down, and I was able to come up with over 100 different ways, we use this word HEART. My article is due today…..And I wanted to write about Valentine’s Day for this months issue. From what I can see, this list, I wrote, can be put into several categories. And phrases we use when using heart in our thinking or speaking..
Our human heart is what keeps us going, if I speak in medical terms. It is central for our existence, because if it stops, our earthly life as we know it can possibly end, if not able to be revived. How about my heart stopped when he walked into the room.. My heart melted, as he came to ask me my name. He had such a good heart. I knew in my heart, our hearts were meant for each other. When I go to my heart place, and I check, how it is feeling at this time. I know in my heart, that I feel joyful, creative, passionate, happy, and peaceful.. I have written a lot about being in the heart place. It’s our true center, of all that we are.. The heart will help us to peel back the layers, of what, we know longer need. It is our higher self, of all that we are. The higher self, can be our angels, our guides, our Source of all, our intuition, our guidance system. We don’t all have the same models of what is meant by the Heart or our heart place. When my heart is blissful, I feel blissful, too. When our heart is joyful, we can create from the heart. Because it is pure, and authentic, and it’s coming from the purest part of ourselves. When we create art, dance, write, essays, poetry, it comes from our knowing and being. It is expressions of our authenticity. There is ying and yang in all ways of living and our expression of how we choose to live. We are human and we always have choices. But we also, have baggage that we don’t totally realize we have, or may not completely understand… or want to understand. And sometimes, this baggage has a lot of little bags, and compartments, inside the larger bags that we may, or may not show to the world… The layers cover our true essence of who we are… The layers can cause illness, addictions, bitterness, anger, frustration, self loathing, judgments, or maybe, in activities, that are not in our best favor, that keep us from being in that place of peace and love and grace..
Today, I heard a TED Talk from Dr Lissa Rankin, speaking of how so many of us, are living according to how we think we need to live because of what or society tells us or what we were brought up to believe. And that is fine, because that is how for hundreds of years, we thought we had to live. She specifically spoke of our careers, and how we choose a job for reasons that may not truly be the right choice. That we may come to a point, and say enough, no more.. Its killing me.. We become burnt out, tired, ill, sick, angry and a lot of other negative concepts.. In many ways, our world is having a big wakeup call… To really, stop, review our careers, relationships, values, and how we just are not sure we want to stay on the merry-go-round of life as we think it is or we think it should be.. Our elders may or may not understand this thinking at all and maybe they do. Dr Rankin, spoke that many of the diseases and issues, we deal with today, are due to not healing from the different layers of what is blocking the pathway to our heart place. These blockages, need to not only be healed through medicine, but also spiritually, how we treat our body, through the food we eat and how we exercise our bodies and our minds..Our spiritual connections, She also mentioned how creativity in all the different ways we are able to creative can help this immensely..
Dr. Lissa Rankin, speaks of when she left her prestigious Dr position, moved to the country with her family, and began a life of helping others more holistically.. Prescribing, herbs, tinctures, remedies, energy healing and all the different ways of how energy healing can help..She found that people were still hurting, emotionally, and all that came with that.. She said she felt that whether, it was holistic healing, or western medicine, the main thing that they needed to understand was that they needed to get to the root of the issues, and to heal from the inside and that starts in understanding the root of is making us not balanced, body, mind and spirit. When one part of the triad is not balanced, others parts of the triad can have some issues… Who does not have issues? http://https://www.facebook.com/PegWolffJones/posts/101549974010717 91bit.ly/1JnIBXJ I was speaking of in this article. When we sing, are we ever sad, or angry? We loved to sing when we were kids, and we would sing all the time. For 34 years, I was a preschool teacher, and I sang every day with my students. Many times we would sing the songs from the song book and we would make up our own words, for new songs of our own. We would add new verses for songs we already knew. Sometimes we would dance and sing, and sometimes we paint and sing. And by now, you are thinking, and what does this all have to do with Valentine’s Day, the day where we celebrate our love and appreciation for our partners, our families, and our friends. We see and hear how commercialized Valentine’s Day, and we rush to buy the cards, gifts, toys etc, do we think to include ourselves, as to how we can celebrate how we care for ourselves? We see the candy heart boxes for our kids our partners, or the special cards to our people who are special in our lives, the restaurants that advertise special deals for you and that special person, the candy, the stuffed toys, It’s a commercial day of mayhem and expectations, from the department store, jewelry store, card store, and restaurants. Is it the mindless accessibility that we buy into the commercial traditions and pressure of the day? It’s what we do, did we include to do something for ourselves for this day..
And so I asked the angels, what suggestions they had for including ourselves some love, in honoring positive self-love, for ourselves. I mean we are busy human beings, with jobs, careers, kids, businesses, & family to care for. Who are we to do such a thing, as to celebrate ourselves on this day or any day for that matter? They have some questions, they want us to ask yourself each day..
Did you know that every day is Valentine’s Day..
It’s not something you attain, you are love..
Self love is acceptance of who you are, no matter, who you think, you are. From the bottom of our hearts. We thank you all for who you are, deep in your heart and soul. Live your passion; embrace your creativity, understanding of living from the heart, helps yous in creativity, relationships and all aspects your life. Laughter from the heart The peace has left my heart..
Heartfelt Walk with your heart on your sleeve. How many ways do you use the word heart? Try making a list of the different ways to use heart. Please feel free to share your experience in making this list. A year has passed and the Thanksgiving holiday is upon us. This day marks the beginning of the holiday season for those of us in the USA. Before I write of the activities of what happens after Thanksgiving Day, I want to speak of Thanksgiving, a holiday to share with family friends and a time to be thankful for what you have at this time. For me, it’s about the relationships with my family and friends. It’s also about all that I have to be grateful for in my life and letting the people in my life know how I feel. It’s about thanking my higher power and all that are in our universe, protecting and guiding us on a daily basis. Thanking them for the help and guidance they have shared with me this past year. I have found over the years, that when I am not in a place of appreciation, that is time for me start writing down what I am grateful for. And it’s also time for me to write at least three things that was positive as I live my day. I have found that when I do this, I find that I am feeling better, about all that is happening in my life, no matter how small. The fact that there is positive activity going in my gives me hope and gives me confidence that all is well. I am also letting the universe know, that I am grateful too. When I write my grateful list I try to write at least ten things on a given day. If on the next day when I write my grateful list I make an effort to write a few more different items but if I find I am running out items I repeat some of what I wrote the previous night. After about a week, I try for 15 items, and continues for a few more each day… I usually go to up to 20 over a period of a few weeks. I have found that when I make this list I do find myself becoming very grateful for all that I do have. Instead of a list, each day, purchase or decorate notebook or a journal that you absolutely fall in love with. Use this journal to write down all that you are grateful for..You can draw, or paint, what you are grateful or write poetry about being grateful too. Maybe invite your children, no matter what the age to do the same..
Make a grateful affirmation board of all you are grateful and add to it as you find or think of thing. You can do this for you personally or invite family members to participate too. Another thing you can do with family is to have a journal for the family members to add as they go through their week or day.. Then put their name next to what they had written. Have a white board to write down all you are grateful as your day goes by. Draw a large heart or purchase one at a craft store and have kids or partner write / what they are grateful, and or they can draw as above, put pictures in the heart too signifying , what they may be grateful for. Making it as colorful as desired. Thanksgiving is agreat time to do some of these projects too. Thanksgiving or holiday time is a good time does them with family. Or any other time for that matter. I asked the angels, their take on what they want to tell us about Thanksgiving or the reason for the holiday. Summer time is here and the going is easy…. I love the summertime, even though its only 3 -4 months in the Northeast of the USA. The days are full of warm sunny days and we live our days pretty carefree, and lot less thinking negative thoughts. Life seems to be much lighter, and all is well in our part of the world. So I asked the angels, today, what do they want to me to talk about this month. Did they have a message? Did they have a subject, they want to speak to us about, or did they just want to just stay in the back ground, and let me do some writing, of what is on my mind, today. The answer I was received was, for me, to write what is in my heart today, on June 30 th, 5:30 pm. One thing that I feel in my heart, is gratitude for all the universe has bestowed upon me in my world and the people who are in my life, at this time. I am grateful, for the sunny days and for the days that are not all that sunny. I am grateful for roof over my head and the food that I eat. I am grateful for peace in my heart and joy that is around me. I am grateful my health and for the direction I receive in trying to continue to living a healthy life. I am grateful for the people who I speak to each day, whether it is on the phone or in person. I am grateful for my husband and for the way he shows his love to me each day. I am grateful the gifts that have been given to me by the universe and for the way they help me to remember my worth in this world. Life isn’t always easy to live, and we all have issues we have to face that are upsetting, very troubling to us. Yet on the other hand, when we learn to be grateful despite the negative happenings, the act of listing the things we are grateful for can for even a few minutes, help us to focus on the good in our life too.. Sometimes, it takes some really hard work to find that, because our human way of approaching our life shows up continually. But when we remember that we too are spiritual beings, and let our spiritual self take over a bit, that we can find some reprieve for the feeling that may block the feeling joy and happiness, and help us to understand that we are more that what we may be feeling at a particular time. In my work with the angels, and understanding what my purpose is for my life time, and helping others to see their purpose, the common thread I see in all of this is to learn about love. Love of self and love of each person that comes into our life. To understand, that we are here and that we know each other for a reason. Whether is there is a lesson to learn, or a something that may be needed to heal from, or working out something from the past. Sometimes, the most difficult people in our lives are put there for a very important reason, to help to learn specific lessons in our lives. We don’t always understand them or appreciate them at the time. And we may never see the lesson in meeting this person or situation. That is ok… It may help us in some way as we live our life on the earth. The angels remind me many times of our worth, and love they have for us. That the plan of our God and the guidance we receive as we live our life from the universe and from those we come into contact with each day is important, and to look for the good in all. The universe is here for us, and so many of go through our day with a prayer, of asking guidance and direction. We can also go through our days of just reacting, from the stress or from the happening of each day… Our angels are with us, and our God is with us, too. They are truly helping us through our days; we only need to take time to listen to the messages and to the synchronicity that occurs each day. Embracing our spiritual self and our physical self together and knowing both aspects of them are so very important for us understanding how the ego plays a big part in our life and how our higher self is important too. So many of us have different understanding of this concept of higher self and the importance of embracing both, yet keeping a balance, of our body, mind and spirit. It has taken me a long to understand of all three being balanced, to help us understand our purpose in our life, and who we truly are.. Many time we hear, we are who we think we are, in our body, or physical self. We have a spiritual side too, and when we understand all that this entails, then we do have a different understanding our existence and reason for being here. I wanted to end this article with a message from my book, Living in the Heart Place With Your Angels: Daily Angelical Whispers Throughout the Year. Ask in your heart, what is the most important thing to do for yourself? We, your angels, ask you this question because we feel that when you know the answer you will know the next step on your journey. When you know the answer you will not need to be concerned about other peoples’ opinions and views of the angels. We ask you to stay in your truth and to do for yourself what you do for others. Let your vision be the goal point of your journey and know that all is well. Ask yourself, “What is the most important thing to do for myself?” Take some time to answer this. Think about it and journal about it. Wishing everyone a wonderful July, where ever you are. The angels are helping us to remember, all that we are and how each of us is truly worthy of all we have to offer to those in our world. When I found this quote tonight, I felt that this would be a good thing to talk about how sometimes we are so very serious about our life and our path that we may forget to have a sense a humor. Sometimes, it seems like we even forget about laughter, having fun with family and friends. The angels always remind me that when I am not laughing and being very serous, about every aspect of my life, that it’s time to take some time out, to find more humor in my life.. They make many suggestions for how we can do this. When stress gets to best of us, the angels will remind us to settle down, relax and to just live in the moment. I have found, that when we don’t take this time, we will be reminded, over and over, to take this time for ourselves. The angels will help us, with recognizing the importance of taking care of ourselves. The thing is, we have to recognize their presence. The angels do believe in respecting our free will, of whether or not, we would like them to guide us in some way. Once we say, “Yes, please assist me.”, they will be there, for us, right away. The angels that help us are the archangels and the angels. The archangels are the angels that work hard, at helping mankind on the earth plane. They each have specific specialties, or jobs, to help to heal, in so many, different ways. They are the healing angels for all of mankind. And they love to be of service to us. Many times, I will hear…. So when you are feeling that laughter has been lacking in your life, know that your angels are working hard to help you with this stress, relationship or career or healing issue, anytime you ask, for assistance. All you have to do is just call on them to help you. The angels also like to work with your guides. And from what, I have experienced when the guides and the angels work together, along with a few loved ones or friends, I know, the appropriate help, is on its way. They remind us that, when we trust in them, that trusting the process, is of utmost importance. They remind us, in so many different ways, that we are never truly alone. They love to have us smile, and to bring the humor back into our lives, when we are at a low point in our life. So when we need to find this laughter or this joy, to just ask, you would like to feel joy or humor, in your life, again. Have you ever thought of starting a spiritual journal? From the time, I received my first diary as a young girl till I was in my 20’s; I had always done some kind of journaling. In my 20’s, I kept a journal/ diary, about the ups and downs my life was taking at the time. I had at least two or three going at the same time. I enjoyed doing this writing very much, until I found my house mates, my privacy had been violated, as I had found out the journal had been looked at without permission. In thinking about this time in my life, I was going through some real spiritual dilemmas. During this time, I was living on my own and could barely make ends meet. In my journal, I wrote about some of the milestones, I had experienced and also my dreams and hopes, to God many a time. In many ways, I had lost the connection to my spirituality, because of some setbacks; I had gone through, just before I had gotten married. This period of disconnect from spirit happened for over 15 yrs following, the date of our marriage. I made many attempts to do some writing in my journal, but to be honest; I had no time to write in my journal. During this time, I had been a teacher of young children and I didn’t have the time, or patience, to do any writing of a spiritual nature. In looking back, during that time, my writing consisted of writing lesson plans, IEP’S, daily anecdotal reports, yearly reports. I had no time or particular interest of doing extra writing of any sort. And then there was a time in life when I began a new spiritual journey of self healing, and feeling the need to express myself more. I began to take some creative writing, online classes. I found this had helped me to reach my heart and soul and see the spiritual connection that I doubted was genuinely there. I was writing more creatively and writing poetry, essays, and having a column on a few spiritual sites. My creative writing was mainly poetry and essays for publication and also began writing some meditations. I found, I was doing a lot of writing of poetry about the angels, as I was becoming more involved in doing angel readings and angel meditation healings. Angel were becoming very important to me and found that a lot of this writing was channeled writing, which I had know Idea I was doing, until someone said to me, that some of what I was writing was channeled. About 3 years ago, a friend of mine asked me to share a daily message on her website. I also shared them on social media and kept them in a blog. About 2 months later, I felt I was being asked to develop journal questions for the messages that were shared, each day. 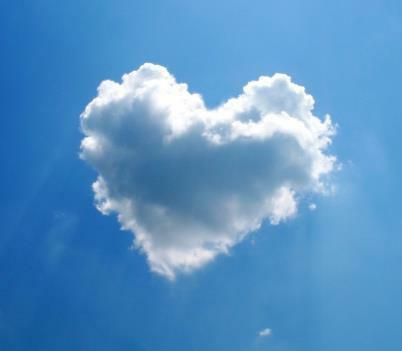 As I was doing this each day, I realized that even though the messages were personal on some level, they were messages to help everyone to notice how the angels are truly in your life. I also realized that the journal exercises had nothing to do with automatic writing. The journal exercises were to help you start to notice the signs the angels were there for you. Helping you to be in your heart place, more consistently, healing, and knowing you are being supported by the universe. In thinking about a spiritual journal, and how you would use the journal I had several ideas and insights. It can be the same as any other journal, but its thinking in a different space. The spiritual journal can help others to notice their angels, or guides. It could be thanking the universe for the day you experienced or for something more specific. Speaking from your heart what is on your mind for that day. You would write message, you feel you might be sensing, or it could be an experience in working with one specific angel over a period of times and telling them what is on your mind or asking for help. Writing a prayer of thanks of concern of gratitude. What is in your heart at the time? It is a place where you can contain and see the spiritual growth taking place in your own life. You could put a meditation, poem, prayer that you had created. The possibilities are limitless. The angels are telling me that we get so caught up in our lives that we truly forget who we are. When you keep a spiritual journal, it’s a time where you and reflect and have time for you. 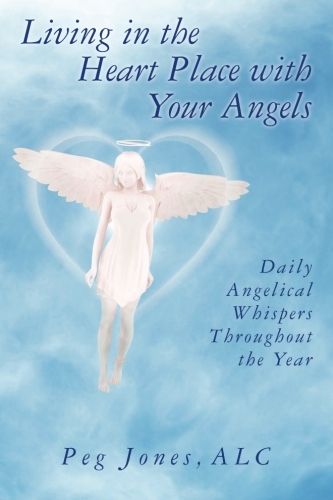 In July of 2013, my book, Living in the Heart Place with Your Angels: Daily Angelical Whispers Throughout the Year, is a book of messages from the angels, for each day of the year. Each message has a daily journal message, for you to think about and write your thoughts on the message and journal exercise. It is a way to connect with your angels and also to help with self empowerment, and lots of messages of self healing, living in the heart place, forgiveness and some exercises that encourage creativity in your writing too. Spiritual journaling with the angels is all about transformation of what is real and true for you as you travel on your spiritual path. I think in many ways, it can help you to reconnect with yourself, and with the universe, and especially our Source, who ever that may for you. The balance of body, mind, and spirit is so important for us to strive to make happen for ourselves, and self -expression in these concepts is also important for our growth on our life path, and enjoying and see the positive milestone, we each can make every day.